My season 2011 in 3 sentences: A slow start after our move, the new start in France. 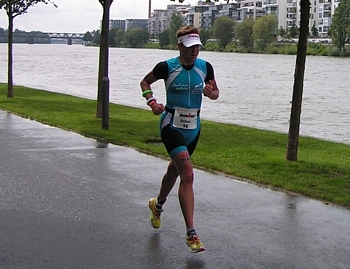 Then I picked up my fitness and had a top-race in Ironman Klagenfurt, which made me very happy. 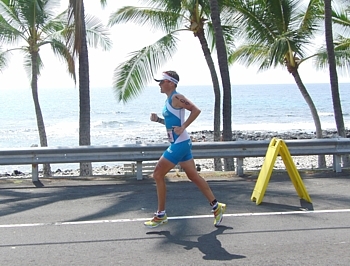 But finally there was the disappointment about my bad performance at the Ironman Hawaii World Championships. When we came back we took some weeks of rest and did some other things, like this nice long walk in the forest in the French Burgundy region (see picture). And we made nice plans as well for the race season 2012. I didn't like the slow start of 2011 at all, so in the meantime I am back in training and will prepare for racing the Ironman 70.3 South-Africa for the 3rd time in my career in January. To prepare properly, I am enjoying a training camp already in December for the first time in my life. Yesterday we took-off with 8 Dutch triathletes (see picture, just before departure at the Belgium Charleroi airport) to Lanzarote, where even more people will join us. Everyone with his or her own goal: to become Dutch champion, or to qualify for the Hawaii Ironman, or for the Olympics in London. 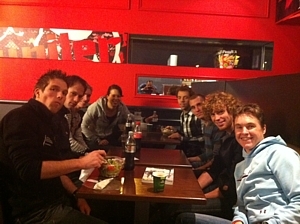 So I am sure that we will have a good time and prepare well for the 2012 season. Motivating! 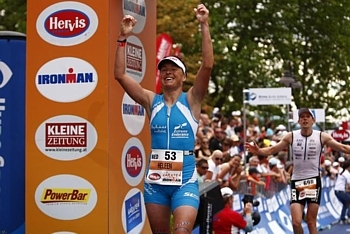 And finally, the PB of 8.56.11 in Klagenfurt had never been realized without: my main sponsor SABIC, superbe bikes of ISAAC/TEHAVA, NEWLINE sportswear, XENDURANCE supplements, NEWTON RUNNING shoes, SAILFISH wetsuits, BORN sportscare nutrition, RON FOR RUN's shoes, XENTIS wheels, SCHWALBE tires, FIZIK saddles, SLS3 compression wear, SUUNTO hartrate monitors and C-BEAR ceramic bearings. Thanks for your great support! My preparation went perfect. I had no reason for doubt. I had a good training camp and physically I was as good as last year before Hawaii, I thought. Maybe it were the dreams I had beforehand. Normally I don’t dream about races. One dream told me that our flight to the USA was cancelled. It was not possible to get to Hawaii. In another dream I missed the start of the World Championships. They were all nightmares from which you wish they are not coming true. Unfortunately reality was such a dream as well. It started already during the swim. I couldn’t catch the feet before me, so I ended up swimming the whole course by myself without seeing anyone. My swim has improved last year, but I didn’t show that in this race. It was the worst swim I ever did in Hawaii. I tried to push on the bike, but it didn’t work. 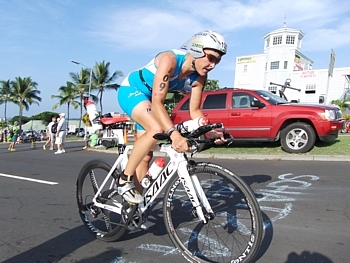 Doing an Ironman you have to be as well physically as mentally fully prepared. And I started to loose the focus. This is not why I’m here, I thought several times. But my body could not go faster. So at the end of the bike I decided to go for the finish and not to quit because DNF is no option for me. I hoped for good run legs, but during the bike leg I had already stomach problems. These bothered me during the run, so I was not able to run fast. In the final 5 km I was just in time for a Dixie. I made it to the finish line (with a little bit a of shame). This result is not where I worked for so hard. At the moment I have mixed feelings. I would like to show that I’m able to finish a good race, but at the other hand my brain tell me that it is better to take a short break. So I decided that this was the last race of the season. Now I take a little rest to fuel up for the next season. And I will come back very motivated. 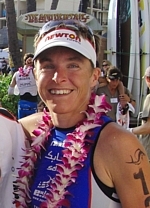 After 2006, 2008 and 2010 it will be already my 4th start in the IM World Champs Hawaii. In 2009 I unfortunately had to watch the race from the sideline due to my back-injury. All-in-all, this is the 5th time on this beautiful island. My preparation went well. Like last year I did my final training camp in the Spanish Sierra Nevada on altitude. An ideal location since you can train in the heat near Granada and the climbing is good for increasing bike-power which you definitely need on the windy course in Hawaii. This time I went alone, but fully motivated to complete my training sets. Sometimes it is an advantage for an Ironman athlete to train alone and prepare yourself mentally. Especially for me since I will be behind after the swim, so not riding in a group and forced to work my way up into the field alone in the aerobars. I like it this way. After the training camp I have been home for 2 days to re-pack, before leaving to Kona via Amsterdam and LA. We are here now for one week, the jetlag is gone and the climate feels "normal" again. I have been doing some nice last training sessions, f.e. in the ocean together with some dolphins. Very nice experience! 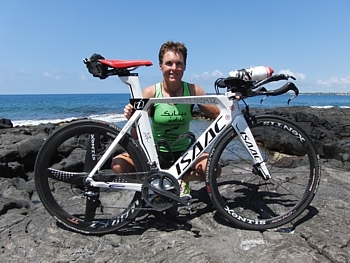 Then I went to Hawi last Thursday on my new TT bike: The ISAAC Muon TT. You can see how proud I am of it on the picture taken along the Alii Drive. Yesterday I did my last long run out and back to the Energy Lab, so now I think I am ready. Just rest and prepare to be full of energy at the startline on Saturday morning. It has been quite a while that I put an update on my website. But I will tell you know what I did in the meantime. After Ironman Frankfurt I took a little break to recover from the 2 Ironmans. After the rest period the road to Hawaii has been started. First two basic training blocks of 12 days with a short rest in between. During the rest days I finally found the time to visit some family and I picked up my new bike, the Isaac Muon, at my sponsor Tehava. I already tested a prototype in previous months, but the real one is race-ready now and I will ride this bike during the Ironman in Kona. After the second block of 12 days I started in the half Ironman distance in Cambrai, France. I tested my new bike and it passed the test. I was too tired to ride really fast after a training week of 30 hours, but the bike was awesome. I ended as second female. 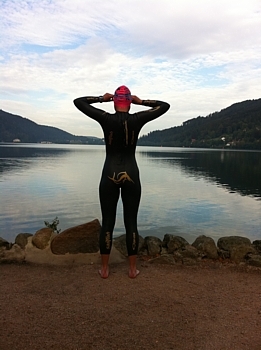 The week after I started in the triathlon of Gerardmer. This is also a race in France and it is known for it’s very heavy course. The 90 km bike course contains almost 2000 altitude meters. And the run course isn’t flat as well. I suffered during the bike and run, because it was a very hot day and I was not good. I think I still wasn’t recovered from my training blocks. But I’m glad I did this race, because it is a very cool course and it was a good training for me. At the moment I’m on altitude in the Spanish Sierra Nevada. This will be my last preparation for Kona. I will do some hard sessions to become top fit. Stay tuned! It's the morning after the race. As usually I slept only a couple of hours, so what can you better do then writing a story for your website. It started as an experiment to see how I would perform in an IM race just 3 weeks afther another IM race. And the second reason that I signed up for Frankfurt was that I didn't know before hand if I would have enough points to go to Kona. After Klagenfurt I was already sure, so this reason wasn't a valid one anymore. The 3 weeks in between, the focus was on recovery, some key sessions and tapering. I felt great and was ready to race again. I like to race in nice and warm weather. But nothing of that we had yesterday. It was rainy, cold and very windy. That made the race really though. My swim was ok, not great, still my 2nd best split ever. During the bike I felt that although I felt well in training, my muscles weren't fully recovered. I lacked some power, so although it felt that I was pushing really hard, the result was a lousy bike split. But I still had the motivation to race as fast as I could for the moment. So the run was reasonable good. I passed a few girls and came in 9th. The result of the experiment is that I'm not fully recovered from an IM after 3 weeks. But I'm sure that I'm going to Hawaii! A great day yesterday: for the first time in my career I swam below one hour (58.54), I already had a good feeling in training, but it's more satisfying if you also can show it during a race. The bike was fast, as expected on this course which is designed for fast racing. But then I also ran a sub-3h marathon (2.59.40), the fastest run-split of the day in the womans-field. Overall, the sum of the swim-bike-run was a sub-9h time, a fantastic personal best. If I counted well, there are only 14 ladies worldwide who ever were faster. Including the 3 woman who finished on the podium yesterday. It's unbelievable that this race wasn't good enough to finish top-3, but that reflects the high level of the race yesterday. That's a little bit a pity, but well, something to forget really fast since now I only am very happy with my own performance! Last week I did a small Europe-tour and at the end Ironman 70.3 Austria in Sankt-Polten: A week ago I was on the island of Mallorca. In the meantime I have been in the Netherlands, Belgium, Germany and now Austria. Yesterday I participated in the IM 70.3 of St. Polten. It is a beautiful race with 3000 participants. I also did the race 4 years ago so I could remember the course more or less. 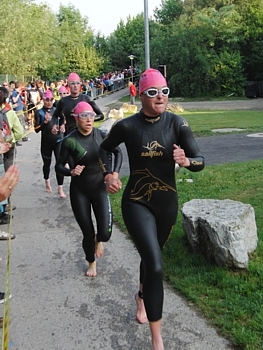 The swim is divided in 2 parts in different lakes with a 200m run in between (see picture), very special and fun. The bike has some climbs and descends, but also a fast flat section on the highway. For me the race went a little bit better than last week, especially on the run. Step by step I will improve towards my top form for this year. It was the first time ever I did 2 half Ironman races in consecutive weekends, but the recovery was good enough. I think that is due to the fact that I couldn't race at full speed yet, I simply lack some power in the legs and overall fitness at the moment. But it is coming, I feel it. Next a training camp on altitude is planned. There the important parts of the puzzle should be added. Like last year, after this camp I hope to be ready for the first full distance Ironman of the season: the 3rd of July, Ironman Klagenfurt. After two weeks of training on the beautiful island of Mallorca I participated last weekend in the 70.3 race which started in Alcudia. It was great training here and the race was also really nice. The race was organized for the first time and there were a lot of participants. The swim was in the Mediterranian see. The bike course had some flat parts but also a climb of 8 km. I'm not a good climber (as you could learn from my bike split of that section of the course), but I really liked this course. At the end we had to run 4 laps on the boulevard of Alcudia. It was the start of my triathlon season and I placed 11th in the race, not spectacular but at least it felt good. I know that I need these kind of races to become better. Next week I will do another 70.3 race in St. Polten, Austria. Hopefully my level is a little bit better there. Last two months there were a lot of new experiences for me. In the contrary to the last couple of winters, I did not travel to warmer places for nice training camps. 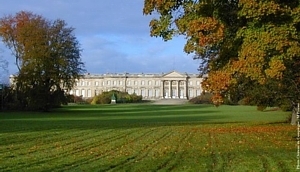 I stayed in France to get used to my new environment here: try to learn the language, find the most convenient shops in Compiegne, train with my new clubs, discover new running and cycling routes, etc. Luckily the weather was not too bad. Yes, we had some cold and rainy days, but there were also sunny and even nice and warm days in March. All in all, I like our new home here in France. Although training is progressing, it went slowly and with some ups and downs. It was difficult for me to see the other girls racing in Abu Dhabi, knowing that I am not there yet. But if you want to perform in triathlon, you also have to be mentally strong. That's what counts the next few weeks. I am still working on buiding a base. Because of the changes that take time, we decided not to do an early long distance, but only race my 1st Ironman early July in Klagenfurt. Then I have to be ready. Now, I will stay in France for 5 more weeks before travelling to the Island of Mallorca in Spain to do some work on the bike and race the IM 70.3 over there. It has been quiet for a while on my website. This doesn't mean that I didn't do anything, in the contrary: we were very busy. Quite some changes in life for me in the last 2 months, so it's time to tell you all about it. The second week of January, we moved to France. Rob is working for the DSM location in Compiègne. Compiègne is located 70 km above Paris and is the starting place of the cycling race Paris-Roubaix. There is a nice castle and a very beautiful forest near this small city. It's a very nice area for sports, so a perfect place for me. I'm also lucky, because there is a triathlon and swim club which I already join. For a perfect preparation we followed a french language course in the first week of January. Now we can speak some little words of french to help ourselves here. But hopefully within half a year it goes much better. We still follow a french course 2 times a week. The last 2 weeks I started my training again. I decided not to go to the warm weather this winter, but instead prepare for the season in my new hometown. The facilities are perfect. I've already found a swimcoach, Stephane Lecat. Stephane is a former long distance open water swimmer. He was european champion on the 25 km in 2000, won 3 worldcups and the bronze medal on the world championships in 2001. He surely can swim! I believe that we can do something on my swim together and that I can swim 5 minutes faster on my 3,8 km time at the end of the season. The area of Compiègne is a great cycling spot. I did already some rides and it is still not boring. Also the facilities for the run are perfect. There is a very new track on which everyone can run for free. Unfortunately it is almost not used during the day, but for me that is perfect. The forest is only 5 minutes running from our house. It is really big, you can run there for a whole day without using the same path. Enough to discover the coming months. I hope that the weather will be not that cold this winter and then I really like it to prepare for coming season in this nice spot of the world. Besides there is a sauna in my new gym if I want to warm up a little bit. My race schedule for coming season is almost ready. In next updates I will tell more about that. 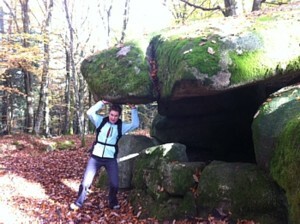 The wintersleep and the moving are over, the training for 2011 started for real. Let's go! © 2005 - 2011 Heleen bij de Vaate & Rob de Hooge. Photographs published on this site may not be used by others without our permission.